Switzerland is a country with a lot of millionaires, and some of them have gained their fortune by winning the lottery. Perhaps they’ve won one of the 18 Jackpots of EuroMillions Switzerland. The other prizes in this lottery are great as well. Just ask one of the 163,534,863 winners of this lottery so far! The lottery prizes vary, from 500 euros to more than 50.000 euros. Are the extra EuroMillions games? 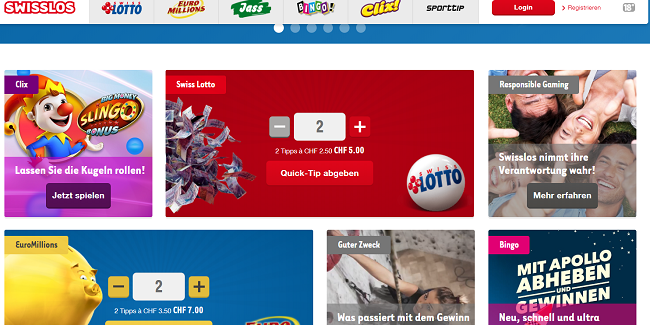 Interesting about EuroMillions Switzerland is that it organizes to extra games besides EuroMillions. For example, 2 Chance is worth participating in because you have the chance to win 150.000 Swiss Francs, which is about 132.000 euros. During 2 Chance, your five main numbers are entered in a second draw, which means you have an extra chance to win big. Or try the ‘SuperStar’ option instead. In that case you receive a 5-digit code that must match the numbers that appear during the draw. If it’s your lucky day, you win 250.000 Swiss Francs (more than 220.000 euros). A EuroMillions ticket in Switzerland doesn’t cost much, namely 3,50 Swiss Francs (about 3 euros). It gives you to chance to follow into the footsteps of the player who won the biggest prize in the country ever. He became a multi-millionaire when a Jackpot of 183 million Swiss Francs fell on his ticket! 183 million CHF is about 161 million euros, so it was definitely life-changing! The big win also broke the previous record of 157 million Swiss Francs (138 million euros), which was claimed on December 19, 2017.